Are you a motivated, dependable, caring individual who is looking for a job where you truly make a difference every day? Have you provided care in a home or worked in a nursing home? If so, Central Penn Nursing Care is looking for you! 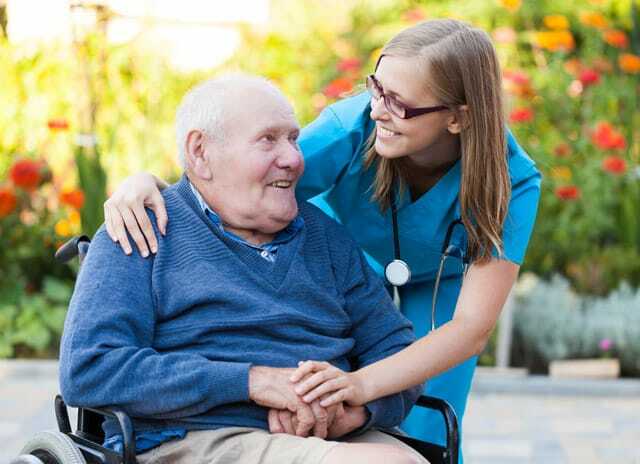 Our Certified Nurse Aides are responsible for assisting clients with the activities of daily living as outlined in a written Care Plan that is established by a Nursing Supervisor. The Certified Nurse Aide’s job performance is monitored and supervised by Licensed Personnel. Join a family owned, supportive agency where our goal is your success! Click on the green button below to get started today! Thank you for considering Central Penn Nursing Care Inc. for your next job opportunity. Here’s what you can expect as you complete our application process. You will receive a message stating your application was successfully received. Central Penn Nursing Care will review your employment needs and experience. If your needs match our hiring criteria, an interview will be scheduled. Plan on 1 ½ hours for the interview at our office. We are looking for evidence of good work ethic, ability to work with others, and dependability. After references are reviewed and availability considered, a job offer may be extended. New Hire Orientation date will be scheduled. "It is so nice to work for a company that appreciates its workers. You have been so nice and I appreciate all you do!" "Since I have been employed by Central Penn Nursing Care, Inc. I have felt like I am really needed and appreciated. It is wonderful to have my schedule work with my classes for Nursing. Thank you for allowing me to be part of the Central Penn family. I can see why so many of the employees have stayed with Central Penn for many years." "It is truly the best job I have ever had. Never before have I worked for a company that truly cares for their employees." "The flexibility and compassionate understanding of everyone in the office made my experience working with your agency a pleasure and honor. Thank you again for everything." "I love my clients and the staff is wonderful. They always have my back." "I knew I wanted agency work and I have been so happy at CPNC. I work with so many, many nice people." "I am pleased to be part of a team of caregivers who enable our clients to live life to the fullest. I hope to be with Central Penn for a long time." "Thank you for allowing me to be part of the Central Penn family. I can see why so many employees have stayed with Central Penn for many years." If you are interested in employment with Central Penn Nursing Care please complete our online employment application.